When a person borrows money from the money lender or any bank/financial institution, some extra amount is charged by the lending entity for the use of money, called as interest. The interest rate is mutually decided by both the parties. Interest can be charged in two ways, i.e. simple interest and compound interest. The former is the type of interest where the interest is charged only on loaned amount but in the case of the latter interest is calculated on the amount lent plus accumulated interest. So, simple interest is the sum paid for using the borowed money, for a fixed period. On the other hand, whenever the interest becomes due for payment, it is added to the principal, on which interest for the succeeding period is reckoned, this is known as compound interest. So, here in this article, you will find the basic differences between Simple Interest and Compound Interest, which we have compiled after an in-depth research on the two terms. 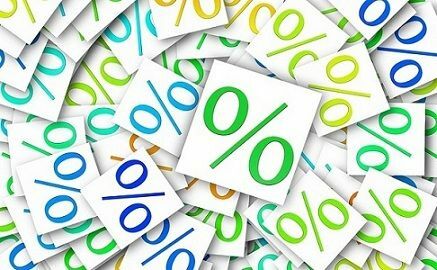 Meaning Simple Interest refers to an interest that is calculated as a percentage of the principal amount. Compound Interest refers to an interest which is calculated as a percentage of principal and accrued interest. Principal Constant Goes on changing during the entire borrowing period. For Example: If you borrow Rs. 1000 from your friend @ 10% per annum for 3 years, then you have to return Rs.1300 to your friend at the end of 3rd year Rs 1000 for Principal and Rs. 300 as interest, for keeping the amount with yourself. If we add up the principal and interest, then it will be known as Amount. One thing should be kept in mind is, the more the money and periods, the higher will be the interest. Compound Interest is the interest which is computed as a percentage of revised principal, i.e. Original principal plus accumulated interest of prior periods. In this method we sum up the interest earned in the previous years to the initial principal, thus increasing the principal amount, on which the interest for the next period is charged. Here, interest is to be paid on the principal as well as the interest accrued during the loan term. The interest charged on the principal for the entire loan term is known as Simple Interest. The interest computed on both principal and the previously earned interest is known as Compound Interest. Compound Interest gives a high return as compared to Simple Interest. In Simple Interest, the principal remains constant while in the case of Compound Interest the Principal changes due to the effect of compounding. The growth rate of Simple Interest is lower than the Compound Interest. Calculation of simple interest is easy while the calculation of compound interest is complex. Suppose Alex deposited Rs. 1000 to a bank at 5% interest (simple and compound) p.a. for 3 years. Find out the total interest that he will get at the end of the third year? Interest is the fee for using someone else’s money. There are many reasons for paying interest like time value of money, inflation, opportunity cost, and risk factor. Simple Interest is quick to calculate, but Compound Interest is practically difficult. If you compute, both simple interest and compound interest for a given Principal, Rate, and Time, you will always find that compound interest is always higher than the simple interest due to the compounding effect on it. I understand much more than ever before. Thank you so much.